Companies investing in the strategic evolution of their workplaces are often focused on how it can make life better for their people. They recognize that providing a healthy, efficient and fun workplace will help their employees be productive and also help them recruit and retain talent over time. 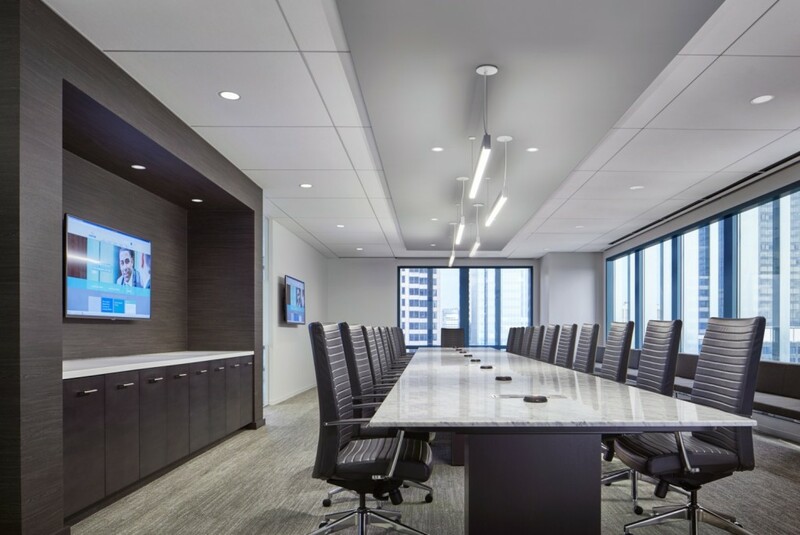 However, workplaces aren’t just spaces senior leadership help create and then walk away from – strategic, smart workplace design can also enrich the work experience for the CEOs and the C-Suite. A recent report from CEO.com and Domo, How CEOs Spend Their Time, highlights some interesting information about how much CEOs work (a lot), how much they travel (most travel a lot) and how they spend their time. What’s important for organizations and designers is to take this data and then apply it to the workplace. Long hours, long flights and little sleep is not the recipe for health, but that is often the reality for CEOS. The report states CEOs work 57.8 hours a week on average and 10-11 hours per day during the week. Additionally, CEOs sleep 6.7 hours a night, which is almost 20% less than the American average of 8.75 hours. These trends aren’t likely to change in the future so CEOs need to try to reap as many health benefits as possible from their time in the office. One way to do that is to design an office with multiple types of work environments that allow for movement – private areas for quiet work, communal areas with standing-height tables for quick meetings and technology-rich meeting rooms that offer CEOs the opportunity so stand, sit or move around. One of the best ways to minimize negative health impacts caused by long hours is to stay moving. Plus, moving throughout the office allows for interaction and socialization with employees that can boost mental and emotional health. CEOs should also think about how their workplace embraces nature. Ideally, work environments should be designed to allow as much daylight as possible. Multiple studies have proven that access to natural light helps employees be more efficient, motivated and happier. Other studies suggest that access to daylight can help minimize risks related to cardiovascular health and immune dysfunction. When possible, leaders should also look for ways their office can allow for people to access the outdoors. Not only does being outside increase access to daylight and fresh air, new research suggests spending time around trees may inherently lower your risk of strokes and heart attacks. CEOs are as much at risk of these health issues as those they work with, and a strategically design work environment can improve health for everyone. CEOs that work all the time have no time to waste. During their long work days, CEOs spend an average of 2.5 hours every day in meetings. The majority of these meetings take place with other company executives and finance and operations are the two departments they meet with the most. 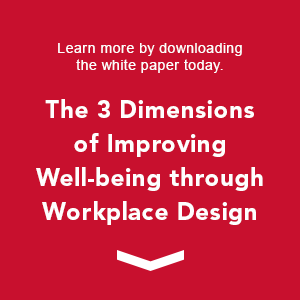 A well-designed workplace is geared to bring the people and departments that collaborate the most together. This kind of synergy isn’t just valuable for marketing and HR, it’s also critical for the C-Suite. Keeping key contacts, departments and appropriate meeting spaces nearby can limit delays and maximize productivity for leadership. Additionally, CEOs looking to be more efficient for their company should take a hard look at their allocation of real estate. Often, the largest offices are reserved for executives that are constantly on the road. The new report suggests 86% of CEOs travel between 1-10 days a month and some travel more than half the month. 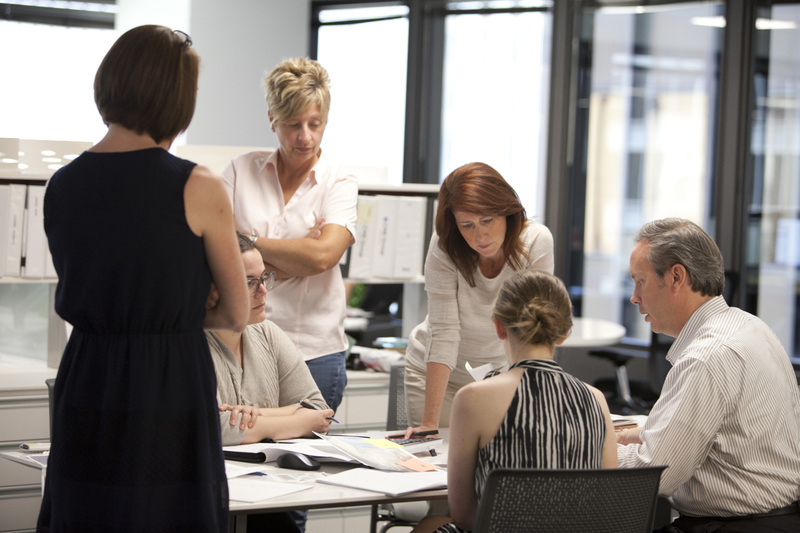 When CannonDesign’s Chicago office relocated in 2012, our team devised a new workplace solution that moves 99% of our staff, regardless of rank or title, to open offices and provides necessary teaming and collaboration spaces throughout. The new strategy has driven measurable improvements in employee satisfaction, employee concentration, ability to meet face-to-face, ability to hold phone conversations and individual work in private areas for all levels in the organization. When time is limited, being able to connect is critical. Organizations often think of technology as solely and IT challenge but it’s not – it’s also about design. Ensuring the right technology is infused in the appropriate spaces can maximize productivity and efficiency which means better meetings, less lost time waiting for systems to connect and hopefully better results. It’s not just about work either, the CEO.com report states that more than 25% of CEOs wish they could spend more time with their family. Having the appropriate mix of technology can make uploading and reviewing documents faster, sending e-mails from outside the office on the weekends easier and hopefully allow for better work-life balance. In the end, the best workplaces find ways to bring health and efficiency to everyone in an organization – the CEO, management and staff. Based on this recent report, business leaders’ busy schedules and concerns are making having such a workplace even more critical than ever.